Well Josh has been busy again this year. He took part in the UK National Harmonica League’s annual festival in Bristol once again, this time competing in two separate categories. And that’s not all… Tell me, have you dreams I can see! For the Melodic Section in Bristol, Josh played J.S. Bach’s Jesu Joy on his 10 hole Hohner Crossover harp in C major. In the Rock & Blues Section, he played The Kaiser Chiefs’ Ruby, also on his C Crossover harp. He was awarded first place in both categories! Not satisfied with the successes of Bristol however, two weeks later Josh set out for another first. 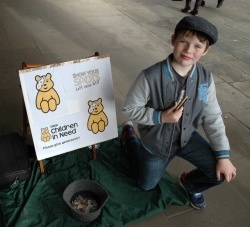 This time street busking for Children In Need. Now, playing solo is nerve wracking for any musician, let alone in a competition. But busking on the street opens a player up to all kinds of new challenges. What if it rains? What if folks heckle, or your equipment breaks? What if you need the bathroom? A bunch of what ifs! Unperturbed, Josh blew his harps for a full hour at the local shopping centre, attracting a crowd as he did, and raised a whopping £310.00 for charity. 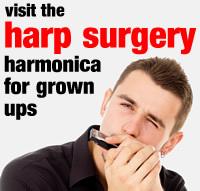 Which is testament to Josh’s harp skills; it also goes to show how portable the harmonica is and how ideal it is for entertaining in public. Now, while we always encourage children to play music live, we also think it’s important this is done as safely as possible. Josh’s parents were with him while he played. 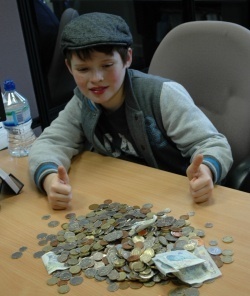 They also made sure his charity money made it safely to the bank! 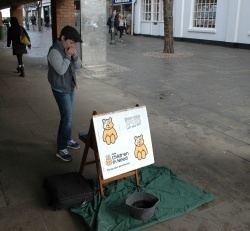 Maybe you could try busking and raising some money for your favourite charity – but always remember to play it safe. Congratulations and well done to Josh (and his mum and dad) for great work this year!